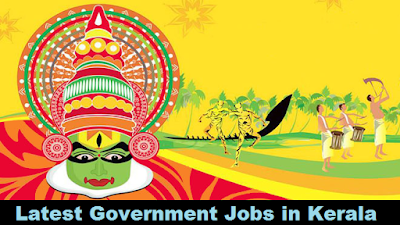 Welcome to the Kerala govt jobs Page, Here you will get all the latest job vacancies News published in kerala, Please select the recruitment you want to know about and read all the details carefully before applying for any job. Please do not forget to share the employment news with your friends to help them in finding a govt job in Kerala. We Consistently update our page to provide fresh jobs alert in kerala, All the 10th/12th passed and graduates candidates can check this page on daily basis for latest government jobs in kerala. There is an official pdf and online apply link is given at the end of each job article, Kindly read all the necessary information about the recruitment before applying for any job. Note:- Kerala Government Publishes various government jobs, For latest alerts and News about Govt of Kerala please visit official website of kerala state.